Some people struggle to prove their identify and where they live. It may be that they don’t possess a driving license or passport, they may not have a utility bill and they are struggling to keep their birth certificate or other documentation safe. Often support projects need to record exactly who the person is and can spend too much of their time processing the identification. It can mean that the citizen is sent away to find documentation but often they don’t return and therefore don’t get the support they need. Provision an electronic ID once for a citizen so that they can use it to authenticate themselves for many services across the place. Initially this will focus on the Lancaster CVS European funded projects but the intention is to include other Lancaster place support services. Initially this will be processed manually but the intention is to integrate the solution with services through the API. 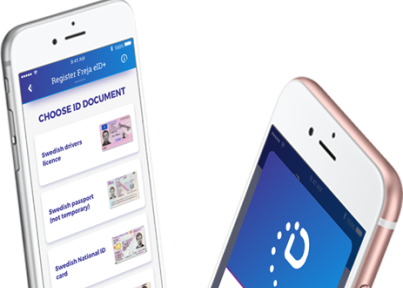 Verisec provide an electronic ID solution for a smartphone which will allow the citizen to authenticate themselves easily. This will be supplemented with a secure document management system to ensure that evidence of identification is provided to back office systems. vulnerable people will be able to easily apply for the support service s they need. This is a difficult business case to calculate but the assumption is made that making it easier to receive support services can only better serve the prevention agenda. Frontline workers will spend less time proving an identification so that they can focus on providing their support service. whether a smartphone can provide citizen identification authentication for services across the local place. will it be easy to provision an electronic ID? will services accept using a smartphone to authenticate someone? will it be easy to integrate an electronic ID to several support services?